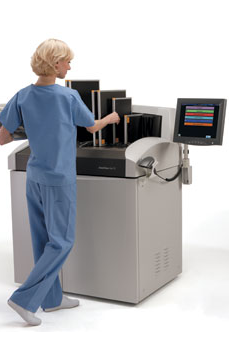 Streamline Workflow For Higher Productivity And Patient Throughput. Boost CR productivity with a workflow leader. Maximize throughout, productivity , and patient satisfaction with the CARESTREAM DirectView Max CR System. A next generation workflow leader, this system has been developed in direct response to customer feedback and evolving technology. 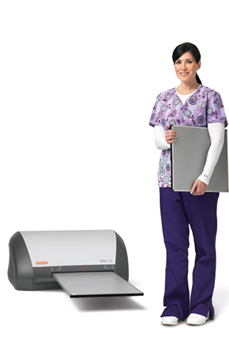 The Max CR Systems provides “drop-and-go” cassette processing that reduces radiograph queuing and waiting at the reader. Processed images can be sent automatically to pre-selected destinations without manual intervention. You're eager for the workflow and productivity benefits of an all-inclusive, integrated digital imaging solution. But traditional CR / PACS bundles are too large, expensive and out of proportion for your needs. Meet CRescendo Vita Image Suite – an affordable CR software package created specifically for private practices and smaller clinics. Think of it as a "mini-PACS" solution. It's ideal for optimizing your workflow today, and scalable to meet your expanding needs tomorrow. Most importantly, it delivers high-quality images while streamlining your work flow including capturing, viewing, processing, printing and storing your images. 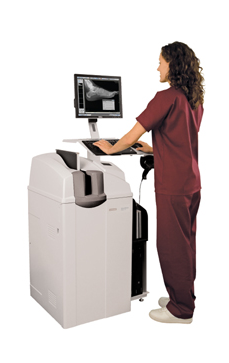 All of this allows you to increase productivity and enhance patient care. The CRescendo Classic CR System is easy to install, use and maintain, providing seamless integration, from X-ray exposure to print or softcopy. The CRescendo Classic CR System Package includes features that provide advanced functionality and maximum productivity, because every patient deserves the highest quality our technology can deliver without compromise. Loaded with easy-to-use software features developed by Carestream Health, designed to optimize workflow and make patient care your number one priority, this great package comes complete with the software and hardware you need to Go Digital today. You're eager for the workflow and productivity benefits of an all-inclusive, integrated digital imaging solution. But traditional CR / PACS bundles are too large, expensive and out of proportion for your needs. Meet CRescendo Classic Image Suite - an affordable CR software package created specifically for private practices and smaller clinics. Think of it as a "mini-PACS" solution. It's ideal for optimizing your workflow today, and scalable to meet your expanding needs tomorrow. Most importantly, it delivers high-quality images while streamlining your work flow including capturing, viewing, processing, printing and storing your images. 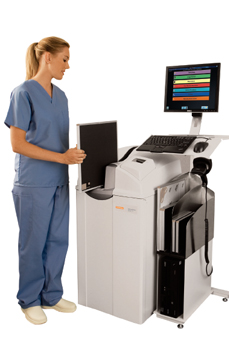 All of this allows you to increase productivity and enhance patient care.